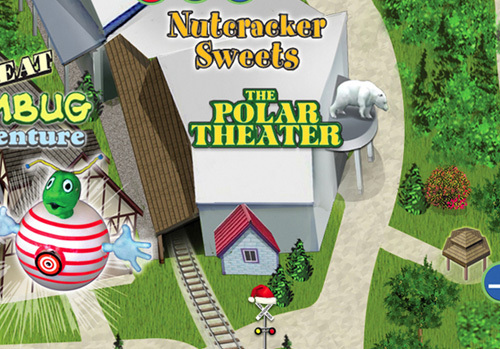 A holiday classic 3-D animated movie inside the Polar Theater. You’ll find out what “Tink” learned just after he was promoted to Santa’s “Head Elf”. Come see the antics for yourself. Showing daily. Summer show times (May to October) are 10:30am, 12:30pm, 2:30pm, and 4:30pm. Christmastime show times (November & December) are every hour on the half hour.